There are many people whose busy work schedules force them to be seated in front of computers all day long. If you are one of them, you will agree to the fact that this lifestyle can make you unhealthy because of seating down for too long and a hectic schedule that leaves you with no time to work out. Fortunately, there is a solution to the problem. You can work out without wasting any minute of your work by using the office fitness walking treadmill. The treadmill does not take lots of the office space, meaning that you can have several in the same room without the office looking squeezed. Under the desk treadmills are similar to your regular treadmill except that they do not come with arm rails. This enables them to be placed under a standing desk, which allows the user to walk on them while working. They generally have a lower walking speed of about 2 mph to enable the user to work without interference from the treadmill. Some of the under the desk treadmills come in all-in-one systems, making them walking workstations. • It has a quiet operation. 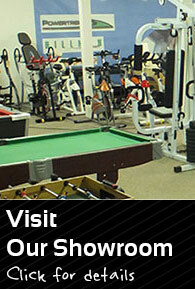 Therefore, you can work out without disturbing others in the same office due to noise. • On average, the treadmill can give up to six hours of continuous running. This is enough time even for the most enthusiastic of workout lovers. 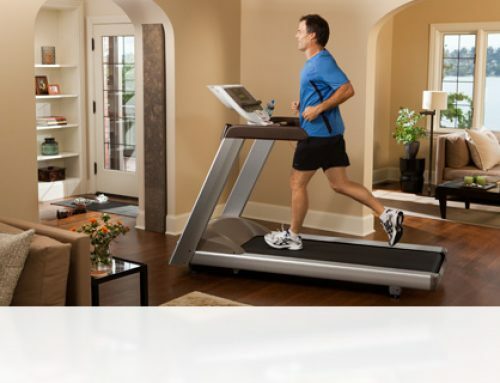 • There are a few adjustments possible on this treadmill, which may limit the actual benefit you get from the treadmill. For all-in-one systems, you may be stuck in a system that causes you to work in an unhealthy posture. • It has very few workout measurement gauges, which makes it hard to determine your progress. The folding walking treadmill features a minimalist design of your typical treadmill, which allows you to fold it when you are not using the device. It helps you save on the floor space especially in squeezed offices. Nevertheless, most models come with an easy-to-read LED display that shows the distance, speed, time and calories burnt in the workout. 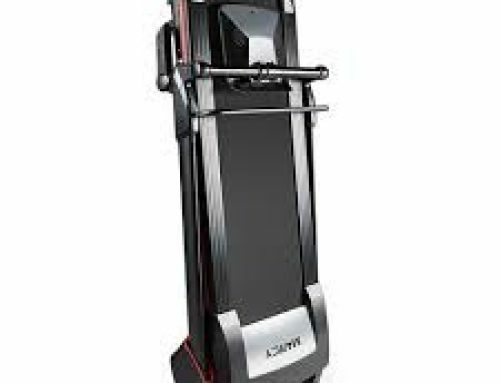 • Most models come with wheels that make them easy to move from the storage to the workout area. • The treadmills are less stable compared to non-folding ones especially if you are walking at low speeds. Treadmills come in manual or motorised types. Your choice of either type for your office workout depends on your fitness goals, budget and capabilities that you are looking at. In a manual treadmill, the moving action against the deck is what shifts the belt. Therefore, the belt does not move if you are not moving. Manual treadmills come in either flat belt or curved belt types. The curved belt one has a better performance at low walking speeds. • Your muscles move the treadmill, making you expend more power and burn more calories per every mile walked. You reduce or increase the speed of the belt by walking faster or slower. • You do not need power to run the treadmill. It cuts on your energy costs and allows workers to work out at any location of the office. • The treadmill is safe as it stops when you discontinue your movement. There is little chance that you will get into an accident by forgetting to shut down the treadmill when moving out of your desk. • Higher joint stress: There is a high amount of stress exerted on the joints. People with joint problems such as arthritis may not use manual treadmills. • Fewer features: Manual treadmills do not come with inbuilt programs or connect with your workout apps. Some have battery-powered displays to show basics such as distance, speed and calories burnt but not anything else. • You have to stop to change the incline of the treadmill. This ruins the good flow of your exercise by stopping the momentum that you had developed when you start all over again. 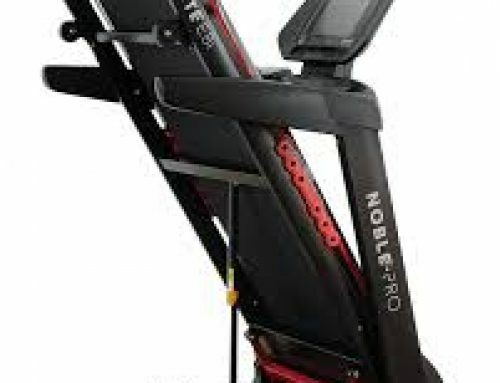 With the motorised treadmills, the belt is moved by a motor. The horsepower of the motor determines the speed and capability of the treadmill. The minimal power you should always look at is 1.5 continuous horsepower. • It is also packed with lots of workout features and programmes in its consoles. You can also connect with health and fitness apps on your phone to track your progress over time. • Most of the motorised treadmills accommodate walkers and runners. They are also stable at low speeds. • Safety: You have to turn the treadmill off before walking out. In an office situation, you may forget to do so if distracted and end up getting injured. • Electricity cost: Motors take in lots of power to keep moving. Installing one of these treadmills will increase power consumption and power bills. When looking for ideal office walking treadmills, several factors such as the design, mode of operation, capacity, size and costs come into play. If you intend to buy one for a group of people, pick a model with a variety of adjustments. However, you may pick a few with distinct features that appeal to specific broad groups at the office. Workers differ in fitness levels, weight, fitness goals and abilities. Try to be as accommodating as possible.